What is women iin action? WHAT IS WOMEN IN ACTION? 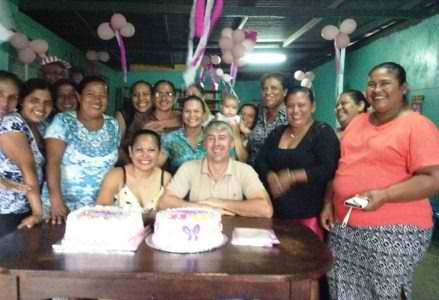 Women in Action (WIA) is a group of 40 women who are organizing health, education and income generating programs in the poorest settlement of La Primavera (Springtime); a poor, urban neighborhood of Managua. WIA members are impoverished women, who live in one-room, tin houses and work as street vendors in order to provide for their families. Most are single mothers, who have never had an opportunity to get an education. There is little access to health care in the community and most families cannot afford to send their children to school. In January 2001, against incredible odds, the women formed WIA in order to answer the needs of the community. Since that time, WIA have worked hard together to carry out several successful projects that are dramatically improving community health and nutrition, providing educational opportunities for adults and children, and offering sources of income for families.